Breathe Easy with GVP "SAFE" non toxic cleaner! GVP "SAFE" is a totally non-toxic all purpose cleaner degreaser concentrate. It is an amazingly powerful non-toxic cleaner yet it is odorless and hypoallergenic. It cleans using a new technology undiscovered until now. GVP "SAFE" Non-Toxic Cleaner is just amazing! -100% non-toxic! Yet strong enough for even the toughest jobs. -Safe for babies and pets! So safe, people with multiple chemical sensitivities use it to bathe with. -World’s best fruit and veggie wash! -Great for the home, office or factory! -Kills over 99% of germs including salmonella bacteria even at 60-1 dilution! -Environmentally friendly. won't harm plants either. -Concentrated to save you money! -As powerful as even the most toxic brands. Users Guide and Suggested Uses for GVP "SAFE". Contrary to popular belief, keeping your home clean and your family healthy does not require an arsenal of harsh toxic disinfectants and carcinogen laden cleaning agents. Some non-toxic cleaners work just as well or better. The cleaning industry is competitive and over time, more and more chemicals have been added to cleaning products to achieve appealing scents and lower costs. Unfortunately, this also translates into more harmful and potentially extremely dangerous ingredients. These ingredients damage our environment and pose serious health hazards to you and your family. Our GVP "SAFE" Non-toxic cleaner is an excellent solution to this problem. Commercial cleaners are advertised as powerful, easy to use products that will take care of any tough cleaning job with minimal effort. Most consumers are not aware that they are paying a high price for the perceived convenience. Consumers are exposing themselves to extremely toxic chemicals that can affect their skin, respiratory system, and overall health much more than they ever imagined. Some are so toxic that even one little sip can cause death. 2 children a day die from accidental poisonings. Mixing chemical-based cleaning products can even release poisonous deadly gasses. Returning to the basics and to natural resources is cost effective, safe, and good for the environment. 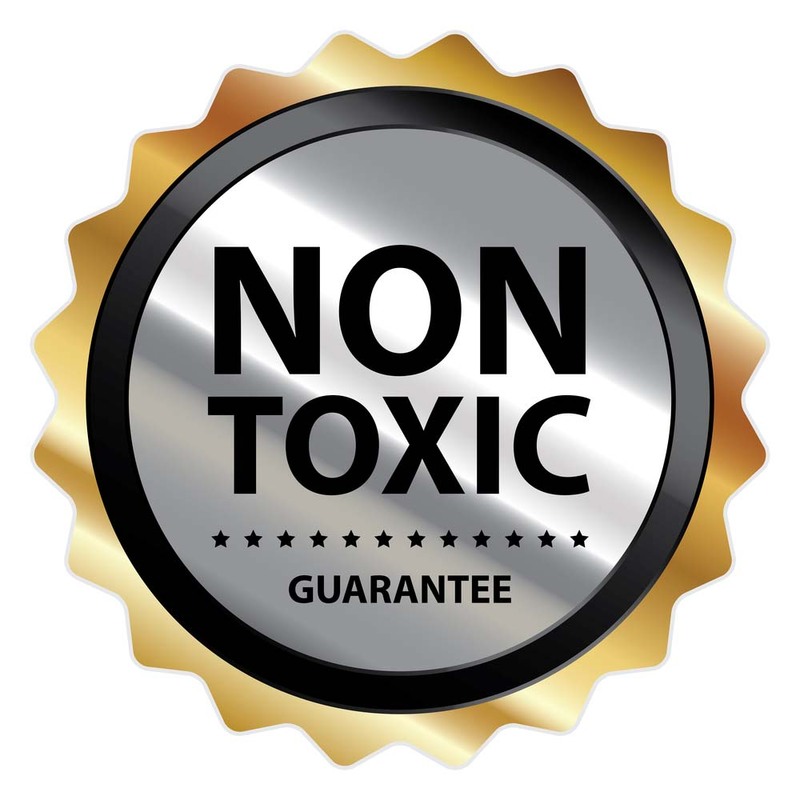 Our "SAFE" non-toxic cleaner is proven to get the same if not better cleaning results. Green Virgin Products offers a non-toxic cleaner that is powerful, easy to use and gets, you the same, if not better results than those other commercial cleaners. GVP "SAFE" is an all-purpose cleaner and degreaser concentrate tat is a super safe and powerful cleaning alternative. WHAT IS GVP "SAFE" NON-TOXIC CLEANER MADE OF? This amazing natural product contains purified water, fatty acids, coconut oil, organic alcohol (all of the alcohol evaporates during the production process), minerals and enzymes that are derived from edible and seed bearing plants. All ingredients are grown and processed in the USA, and are on the EPA’s “Generally Recognized As Safe,” list. GVP "SAFE" has been developed with the help of a proprietary process that is based on a new and innovative technology. Have you ever wondered what soaps are made of and why they clean? The effects of soaps are based on a number of chemical reactions. Soaps are sodium or potassium fatty acid salts that react with water. They also have an excellent ability to act as emulsifying agents (an emulsifier encourages the suspension of one liquid into another.) This means soap can suspend oil and dirt in such a way that it can be removed. Oil, for example, attracts dirt and does not naturally mix with water. The organic part of soap contains negatively charged polar molecules that interact with other molecules. The molecules of GVP "SAFE"’s non-toxic cleaner are about 10,000 times smaller than oil, grease or dirt. Every one of these molecules also carries a strong electrical charge. 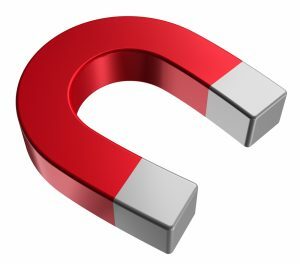 With a positive and negative charge on each molecule, it acts like a tiny magnet. These grease loving and grease hating charges are able to surround the dirt because of their tiny size, and break it up unlike any other cleaner. GVP "SAFE" cleans the healthy and eco-friendly way. It is the best and safest all-purpose and non-toxic cleaner available. When diluted 60 parts water to 1 part of SAFE, it kills over 99.9% of e-Coli and salmonella bacteria. SAFE is a powerful grease and oil fighter and dissolves them with ease. Since this is an all round product that will replace almost all the toxic chemicals in your home, you will see large savings. We only sell GVP "SAFE" in its concentrated form. One quart of concentrate, diluted out, makes 61 quarts of Non-Toxic Cleaner. You can stop buying cleaners for tubs, tiles, floors, toilets, windows, ovens and countertops. This one product does it all. You can even use it to replace your dish soap (if you wash by hand), laundry pre-spotter, carpet cleaners and much more. We suggest you get at least one mixing, spray bottle with your first order. These bottles can be marked with different dilutions so you can have a stronger or weaker dilution available. Mixing couldn't be any easier. Just put 1 tablespoon of the concentrated SAFE in the bottle and fill the rest with water. These mixing bottles also come with instructions for the most common cleaning jobs. We also highly recommend a foaming pump bottle, which works great for hand washing. These high-quality bottles with sprayers will last a long time. You only need to purchase the spray bottles the first time. After that, simply refill and reuse them over and over again. Not only does this help our precious planet with much less plastic pollution, but it will save you a lot of money. Unintentional poisoning due to household cleaning products, especially laundry and dish pods, continues to be on the increase according to recent statistics. 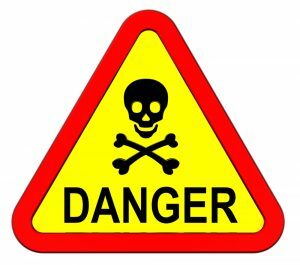 Most all-purpose cleaners, floor cleaners, tub & tile cleaners etc, are known to contain known human carcinogens. Some are so toxic, swallowing as little as a teaspoon is enough to be fatal. According to statistics of the U.S. Environmental Protection Agency, air Pollution inside a typical home is on average 2-5 times higher than the air outside, largely because of household cleaners and pesticides. (GVP "SAFE" non-toxic cleaner also kills bugs). Organic water pollution is mainly caused by detergents, disinfectant by-products, insecticides and herbicides. GVP "SAFE" non-toxic cleaner contains zero toxic chemicals, yet provides an amazing cleaning product for your home. Most people are not aware of the many common toxic chemicals in their household cleaners and how it can affect their health. One of the reasons is that there are no extensive federal regulations when it comes to chemicals in household products. There are no requirements, neither for the products nor for the chemical ingredients to meet any specific safety standards. Any product can be released to the market without testing or consumer notifications. Environmental experts estimate that in each household there are on average about 400 toxic chemicals we are exposed to on a regular basis. “We’ve measured hundreds and hundreds of toxic chemicals in the blood of babies that are still in the womb,” said Ken Cook, president of the Environmental Working Group, a nonprofit environmental advocacy organization. “Flame retardants, the chemicals in consumer products like personal care products, makeup, shampoos. It’s a very long list.” The organization’s study found an average of 232 chemicals in the cord blood of 10 babies born in late 2009. They are chemicals found in a wide array of common household products, including shampoos and conditioners, cosmetics, plastics, shower curtains, mattresses and electronics such as computers and cell phones. They are hidden in all kinds of products – from synthetic fragrances in floor cleaners to toxic fumes in oven cleaners. Our GVP "SAFE" non-toxic cleaner contains none of these chemicals. A number of components in cleaning products have been linked to cancer, asthma, hormone disruption, allergies and even reproductive disorders. Consumers are told by the giant chemical companies that occasional use and small amounts of these toxins should not cause harm. However, a lot of these chemicals are bio-accumulating. Bio-accumulating means your body does not know what to do with these toxic chemicals and stores them. So that small amount, over many years becomes a large amount. Consistent use over time and constant exposure may trigger unhealthy side effects including cancer. One of the oldest household cleaners is Chlorine bleach. It’s well known for its mold killing ability and it also kills germs on contact. As it’s one of the harshest cleaners there is, it’s not hard to imagine what it can do to your skin. Chlorine bleach is now included in a wide variety of cleaning products as well as some laundry and dishwasher detergents. Chlorine is a respiratory irritant that can cause acute and chronic health issues. Most people are not aware that long-term exposure can lead to serious thyroid problems. Because of its frequent use, everywhere in the household, Chlorine poses the biggest threat of being accidentally swallowed by children. It releases poisonous gasses when used in large and undiluted amounts. If you think using hand sanitizers and antibacterial soaps are safe, think again. The FDA recently looked back into Triclosan, an antibacterial agent, which is commonly found in hand sanitizers, antibacterial soaps, lotions, acne products and other personal care products. Antibacterial soaps have the potential to create antibiotic resistant bacteria like MRSA, and they are also bad for the environment. Once they go through the sewage plants and into streams and other bodies of water, they can disrupt the performance of algae and their ability to perform photosynthesis. Non toxic cleaners in contrast, are biodegradable and do not harm the environment. Studies have also found that children with prolonged exposure to Triclosan can develop a higher risk of being affected by allergies. Quats were long considered safe, but like many other synthetic preservatives, some quats can be toxic. There are certain quats that are safe but not all of them are. They can cause skin irritation and allergic reactions and they are also suspected to be the cause of respiratory disorders. These chemicals are not really necessary, there are a lot of natural alternatives and non toxic cleaners that are much safer and that do not contribute to environmental pollution. Tetrachlorethylene, also known as Perchlorethylene or “Perc” is a substance used to clean and degrease metals, and is found in dry-cleaning solutions, paint removers, polishes, and carpet and upholstery cleaners. When you shop for a laundry detergent or a cleaning product, besides its efficiency what do you look for? A pleasant smell? Be wary, the fragrance you are breathing in might actually contain formaldehyde, a known carcinogen. Artificial fragrance oils are made from toxic waste which is left over from the oil industry. They are basically scented gasoline and include over 400 different toxic chemicals including known human carcinogens. Natural essential oils are made by steam distilling flowers or leaves. Essential oils are expensive because it can take a very large quantity of plants to make a very small amount of essential oil. The EPA reports that formaldehyde causes cancer in animals and very probably in humans and in addition, it can cause severe allergic reactions and irritate your respiratory system. Not only are the fragrances harmful, but the carriers of fragrance (phthalates) show adverse effects on reproductive health. Phthalates may cause deformities and reduce sperm count. While some may like to wear fresh smelling clothing or to lie in bed surrounded by the scent of fresh linen, remember that unlike the digestive system, the skin has no safeguards against toxins and absorbs these harmful chemicals. A powerful reason to switch to the healthy and clean scent of non toxic cleaners. Ammonia is a strong colorless gas. It’s used in numerous cleaning products, from polishing agents to glass cleaner. Ammonia is a powerful irritant once inhaled, but poisoning may also occur when you swallow or touch products that contain large amounts of ammonia. People with asthma or lung issues must be particularly cautious. Mixed with bleach, ammonia releases toxic chlorine gas, which can be deadly depending on the quantity. Sodium Hydroxide, also known as lye or caustic soda is a powerful chemical that is often found in oven cleaners and drain openers. According to the Agency for Toxic Substances and Disease Registry, Sodium Hydroxide contains strongly irritating and corrosive properties. This chemical can cause severe burns and permanent damage to any tissue that it comes in contact with. Inhalation of sodium hydroxide dust, mist, or aerosol may cause irritation of the mucous membranes in the nose, throat, and respiratory tract. As Sodium hydroxide is completely odorless, it provides no warning of hazardous concentrations.Legislation does not require manufacturers to list specific ingredients on any of their labels, making it hard for consumers to fully understand their risks. Avoid combining different cleaning products as they may not interact well. More consumers are opting for “green cleaning products.” When choosing the right product look beyond the packaging and read the ingredients. Some labels claim a certain level of eco-friendliness, but some of the common claims in these marketing messages do not have clearly defined standards, which makes it difficult to interpret. Also, not all certifications are created equal. While, according to the FTC guidelines “green products” are defined through their degree of biodegradability, not their toxicity (and the degree to which a substance or mixture of substances can harm humans and animals) and their reduced effect on human health and the environment, some of the most commonly used “green terms on product labels don’t have an official definition. Beware of products like Clorox Green Works etc. These products are not non-toxic but claim to be eco-friendly. There is a big difference between non-toxic and eco-friendly. Eco-friendly means it won't do long term harm to the environment, but it could do harm to your health or even kill you. Non-toxic means it won't harm your health. All Green Virgin Products are non-toxic and eco-friendly. They all work as well or better than the toxic brands. and they save money compared to them too. Buy some GVP "SAFE" today and save money and your health too.